MEDIA RELEASE: For Immediate Dissemination (February 28, 2016). The New Zealand government seriously risks failing to reach the threshold of sufficient consent over the Trans-Pacific Partnership Treaty. 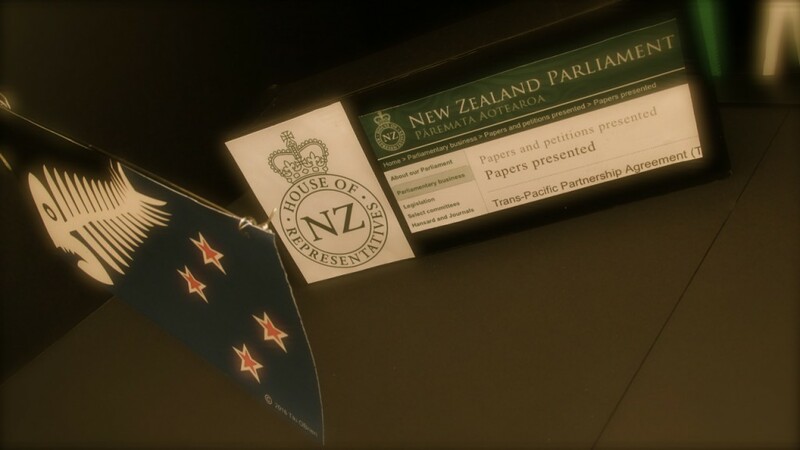 The conspicuous absence of effort by John Key’s administration to promote the public submissions process into the Trans-Pacific Partnership Treaty – which is currently underway – in effect, means that the government is deliberately attempting to railroad through an economic, legal and political framework that undermines nation state-based democratic participation, mechanisms and independence – with the least possible resistance. Meanwhile, the flag change referendum gets plenty of news coverage. 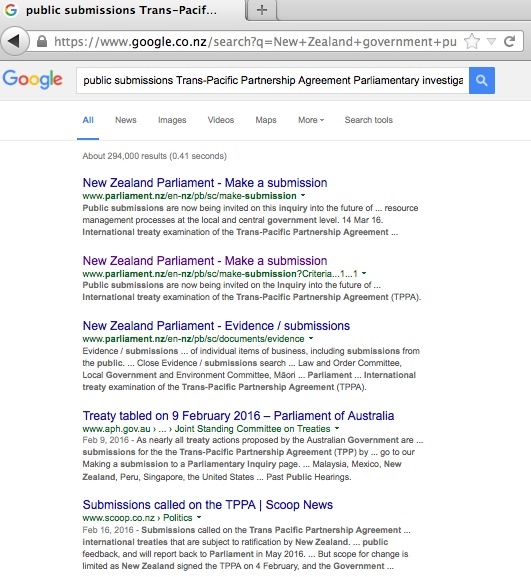 A Google search of the Parliamentary International Treaty Examination on the Trans-Pacific Partnership shows the New Zealand government has failed to capture the attention of NZ news outlets to publicize this important public submissions process, which has a tight one-month time-window (between February 9 – March 11). 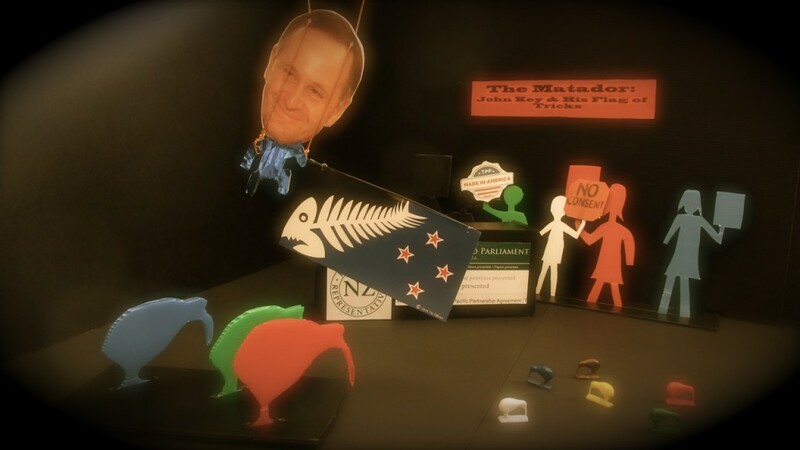 By failing to publicize the public submissions process on the Trans-Pacific Partnership through the news media, New Zealand’s prime minister is continuing his role-play as John ‘The Matador’ Key. 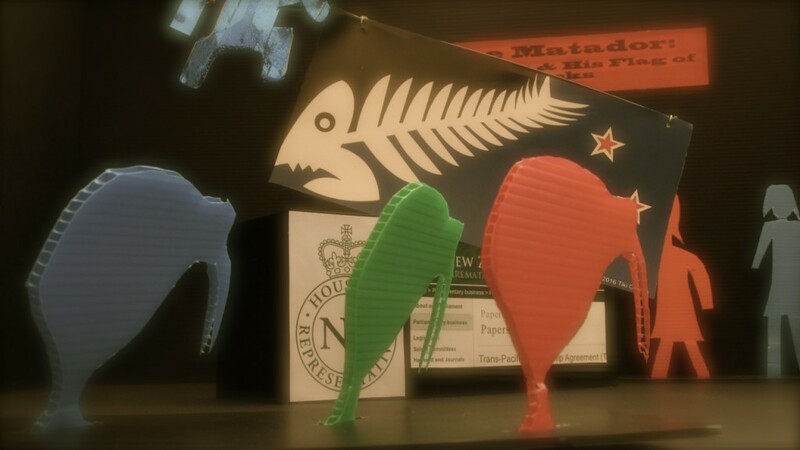 So far, his strategy to distract the Kiwi Tax Flock with the flag change referendum has worked for him. 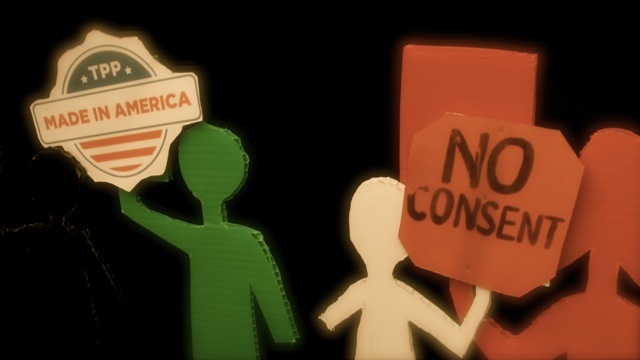 But, it will be at the expense of being able to claim sufficient consent for the Trans-Pacific Partnership Treaty. And, for ‘The Matador’, the Kiwis will come home to roost.